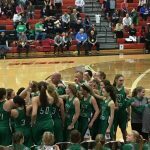 Wednesday, January 18, 2017 7:30 PM Louisville High School AWAY 49 West Branch High School HOME 54 Game Recap Lady Warriors defeat Louisville in overtime to pull into a tie for the league lead coming down the back half of NBC play. They will be at Carrollton on Saturday for a 12:30 tip off. Wednesday, January 18, 2017 6:00 PM Louisville High School AWAY 32 West Branch High School HOME 22 Game Recap JV Girls’ Basketball falls to Louisville. They will play at Carrollton on Saturday at 11:00am. Sunday, January 15, 2017 4:30 PM West Branch High School AWAY 36 Waterford High School HOME 35 Game Recap Final. Sunday, January 15, 2017 12:00 PM West Branch High School AWAY 38 Waterford High School HOME 35 Game Recap Lady Warriors defeated Waterford. They will host Louisville on Wednesday in a redemption NBC game. Wednesday, January 11, 2017 7:30 PM Steubenville Central Catholic High School AWAY 46 West Branch High School HOME 74 Game Recap Lady Warriors defeated Steubenville CC. They will play Waterford at the Classic in the Country at Berlin Hiland at 12:00pm on Sunday, January 15th. Wednesday, January 11, 2017 6:00 PM Steubenville Central Catholic High School AWAY 33 West Branch High School HOME 35 Game Recap JV Girls’ Basketball defeated Steubenville Catholic Central. They will participate in the Classic in the Country at Berlin Hiland on Sunday. Monday, January 9, 2017 7:30 PM Minerva High School AWAY 39 West Branch High School HOME 42 Game Recap Lady Warriors defeated Minerva. They will host Steubenville Central Catholic on Wednesday at 7:30.